Bronwyn Marmo is a Bestselling and Award-Winning Author, Speaker, and Success Coach. She is the Associate Producer and one of the featured experts in the wildly successful documentary film, The Inner WeighTM. For nearly ten years, Bronwyn worked in the broadcasting industry. She is a former television news writer for KTLA in Los Angeles and a former television news anchor, reporter, and producer for an NBC affiliate in Oregon. She has a degree in Broadcast Journalism from the University of Southern California in Los Angeles. Her first book, The Food Is A Lie: The Truth Is Within, is an Amazon bestseller and WINNER of the Outstanding Book of the Year Award for Most Life-Changing. She took top honors out of 3,000 entrants worldwide. Bronwyn's wisdom and compassion comes from having the unique perspective of living on "both sides of the scale." After decades of battling with her weight and ending up obese, Bronwyn released 50 pounds by shedding her old beliefs about weight loss. She is now living free of food addiction, binge eating disorder, and body image distortion, by God's grace, one day at a time. Her new life is filled with balance, joy, and love. In 2001, Bronwyn founded Blessed Beyond Belief, Inc., an organization dedicated to empowering all women who want to make peace with their body, weight, and food. She currently facilitates retreats, conducts seminars and workshops, and speaks to groups across the country. She also assists clients through her Success Coaching program. 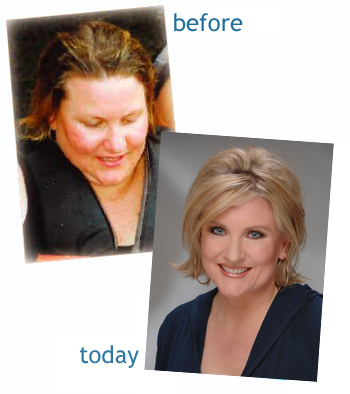 She has aided hundreds of people in reaching their natural weight without the use of diets or drugs. There was a time when the light inside me was quickly dimming. I was spiraling out of control. Food controlled my life, and I was emotionally, physically, and spiritually debilitated. I would wake up in the morning feeling defeated. The fear and despair were overwhelming as I said to myself, "Oh no, another day." The covers would go over my head as I attempted to hide from the world. I didn't want to go on living anymore, and I felt as though the weight of the world was on my shoulders. My first thought of the day was always the same: "What can I eat?" followed by: "Where can I get it?" Food was comforting and soothing-as if it was my best friend and lover. I used food to cope with my life and escape the emptiness I felt inside. I asked myself a litany of questions all day long. "Did I eat too much?" "Did I eat too little?" "What is there to eat?" "How much do I weigh?" "Do I look fat?" I was completely preoccupied with food, leaving no room in my life for anything else. My mind was so busy asking shame-filled questions that I could not hear my inner spirit trying to lead me on a different journey. It became clear that I did not know how to help myself. After trying many of the conventional methods that were ingrained in me, such as diets, liquid fasts, and deprivation, I was out of answers. Realizing that I was defenseless over food, I knew I needed to turn toward something more powerful. Then, in one extraordinary moment, my world began to shift. I heard a soft inner voice that took me into an experience of illumination. Love and light beamed brightly within my body and all around me. I began to be guided through a spectacular transformation. It was as if I had no choice but to experience healing. Nothing I already knew made sense anymore, because I had a new vision that emanated from within. Areas of my life that were completely out of control started to come back into balance. What had seemed dull and dreary was now brand new and full of life. I began to take responsibility for myself and create a life of balanced health. Within twelve months, I had released more than fifty pounds. I had always felt like a victim, but now I began to feel empowered. This major shift in my thinking gave me the energy to continue pursuing the life of my dreams. During that brief moment, I had surrendered to the Divine Intelligence of my body for the first time, and I was able to ask for help. After this point of surrender, I learned to listen to my inner-body wisdom. I began an incredible journey. Now my mission is to help others recognize the inner voice of their bodies. This is both my pleasure and privilege. When I began listening to my body's inner wisdom, I realized that I was conflicted and confused in my thinking about weight loss. My efforts, thus far, had only brought me depression and obesity. This time, I would choose a journey that was completely different than what I had done in the past. I decided to focus solely on attaining balanced health and seeing myself thriving in a strong, vibrant body at my perfect weight. I wasn't going to postpone peace, happiness, and love. I decided to embrace my life and my body, just as they were. Many times, when we embark on a journey of weight loss, we gain it back, plus more, and so the cycle continues. We become discouraged and think we have failed, but we have not failed. We have been conditioned to believe that the sole answer to this challenge lies in attaining an unrealistic weight based on the super-thin models we see in magazine ads and television commercials. We think the way to lose weight is through deprivation, but this concept is faulty. We look at diets as the only cure. When we discover a new diet, we exclaim, "Yippee, I've found the answer to all my problems." If diets actually worked, we wouldn't be paying tens of billions of dollars a year for the answer to our weight loss challenges. We would have found the answer years ago. How many times have you thought, "When I lose weight, I'll be happy?" "When I lose weight, I'll find the perfect mate." "I won't go shopping until I lose weight." "I won't be seen in a bathing suit until I lose weight." "When I lose weight, all my problems will disappear." When we focus on the problem of losing weight, we create even more problems, and this keeps us stuck in a vicious cycle. Our entire being has become so wrapped up in losing weight that we postpone the joy, peace, happiness, and love that could be part of our lives. How Come Diets Don't Work? I am restricting my food for a certain period of time. This is a journey, a lifestyle change that is achieved one day at a time. I have to control my eating. I'm giving up control and allowing the inner intelligence of my body to guide me. My focus is on the physical aspects: how much weight can I lose and how fast can I lose it. My focus is on the emotional and spiritual wholeness that leads to a healthier physical body. I obsess about every bite I put in my mouth. I am strict about counting calories and often feel a lot of shame and guilt around food. I eat for fuel and nourishment, and trust that my body receives the perfect number of calories to maintain my natural weight. I eat mindlessly and find very little pleasure at mealtime. I bring my mind to my meals and eat in joy and gratitude for the scrumptious feast. I eat all or nothing, creating cycles of binge eating and deprivation. I practice moderation and believe that all foods are just right. My focus is on being thin and I won't be happy until I am. My focus is on thriving in a healthy, vibrant body. Every day is a celebration of the journey. I can't trust myself around food. I am at peace with food and trust that I will make the best choices for my highest good. If your objective is to live joyfully at your perfect weight, then shift your mindset away from "losing weight" and start thinking of yourself as thriving in your natural-weight body. See yourself in your highest and best light. If you are not at your perfect weight, then it's important to look at the messages you are sending your body. Look closely, and you will begin to see the things you tell yourself that are not aligned with your heart's desires. When your body constantly receives mixed signals, you are going to get mixed results. For example, if you tell yourself, "I'll never be able to lose weight." Then, guess what? You'll never be able to lose weight. Whatever you put your attention on will be what you create. This is the basis for one of the most powerful laws in the Universe-the "Law of Attraction." This natural "Law" affirms that you get what you put your energy and focus on, whether you want it or not. It is one of the Universal Laws that are basic principles of life and have been around since creation. They apply to everyone, everywhere. The simplest way to describe it is "like attracts like." So begin right now to think of yourself at your perfect weight and believe that it is possible for you to achieve it. Visualize yourself in a body that supports you in pursuing your dreams. Be grateful for this healthy, vibrant, new version of yourself. When you shift your thinking, your focus and awareness will be on what you really want, instead of what you don't want. Live in gratitude every day for the journey and the creation of the new you. By being grateful, you will never take it for granted, and you will continue to create good in your life. Live each day as if it is the first day of the rest of your life. Simply know, believe, and move forward in the direction of your dreams. You will never worry about gaining the weight back, because you have learned and now believe that what you focus on becomes your reality. If you do start to worry about gaining weight, stop immediately and change your focus to thriving in your natural-weight body. You are now living, loving, learning about, and celebrating the life and body you have created. Go for it! Pursue Your Dreams! Prayer (or setting your intention) offers the opportunity to ask for your heart's desire. It's a time to request exactly what you want your life and body to look and feel like. The easiest way to get exactly what you desire is by getting clear and specific about what you want. Outline every detail. Notice how you feel as you create your dream. Your plan is a tool that supports what you have asked for in prayer. 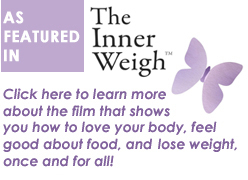 It helps you stay aligned with your desired outcome of thriving in your natural-weight body. Your plan lays a solid foundation for a lifetime of discovery. It sets you up for success on a daily basis. We've all heard the Chinese proverb, "A journey of a thousand miles begins with a single step," but unless you have a plan to nourish yourself physically, emotionally and spiritually, you will not be able to optimally sustain the journey. Perseverance means believing you already have your desired outcome of thriving in your perfect-weight body. Adopt unwavering faith that says: "I will not give up until the desired outcome of achieving my natural weight is my reality. I know beyond a shadow of a doubt that all of my heart's desires are already accomplished, even if I can't actually see them right now." Have you ever been discouraged or exasperated because the weight was not coming off fast enough? Perhaps you have given up and completely abandoned your dreams and desires. Maybe you feel hopeless because you believe you are destined to be fat and unhappy. Begin immediately to make a shift in your thinking. Be grateful for the time it takes to bring your perfect-weight body into physical reality. See this as a gift of time to get to know yourself on a deeper level than you have in the past. Celebrate discovering the new you. The payoff happens when your perfect-weight body is brought into physical reality. You receive the payoff as your heart's desire continues to manifest in your life. But the beautiful part is that you will realize it's been there all along. It will feel comfortable, natural, and loving to be in your perfect-weight body, because you have been living in it the whole time. You have loved it, blessed it, and celebrated it. You became it by recognizing that it was already yours. You created the space to receive the payoff by walking through the other 4 P's of Prayer, Plan, Perseverance, and Patience.